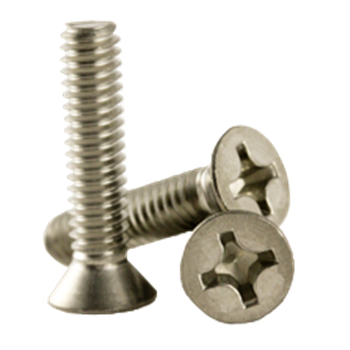 Stainless Steel Machine Screws are a straight shank fastener with external threads designed to go through a hole or nut that is pre-tapped to form a mating thread for the screw. 18-8 or 300 series stainless machine screws are used in applications which require general atmospheric corrosion resistance. Stainless steel is also superior to steel in withstanding some elevation in application operating temperature while maintaining its strength. We are your wholesale source for phillips pan, flat, truss and oval head machine screws in stainless steel.